If you have an Amazon Kindle, can view more than just eBooks. 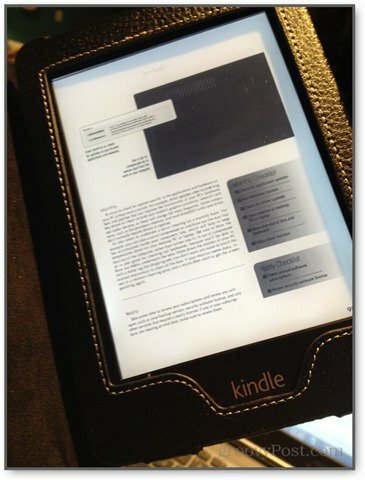 Here’s how to send your own Word or PDF documents to your Kindle. If you own a Kindle device, you already know how easy it is to zap Kindle ebooks to your reader — just buy them from Amazon Kindle Store and they pop up in your library. But did you know that you can manually add your own files to your Kindle? This lets you read third-party PDFs and other documents on your Kindle device that you didn’t get from Amazon. There are three ways to do it, and each is quite simple. Connect your Kindle device to your computer using a USB cable. It will then show up in your File Explorer. Now just drag and drop the files onto the Documents folder on the Kindle. Make sure that the files are one of the supported file types listed above. Then just eject the Kindle and you’re ready to read your documents! This method has a few more steps but it is still simple to use once the initial setup is done. In fact, it’s even easier since you don’t have to have a USB cable on hand — you can just email the files directly to your Kindle. Go to the Amazon website and log in. 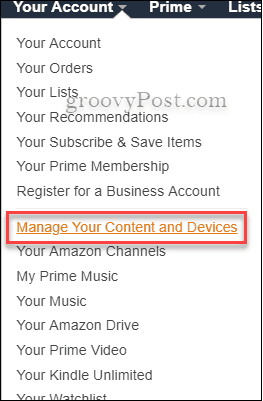 Now at the top-right go to Your Account > Manage Your Content and Devices and then select the Settings tab. 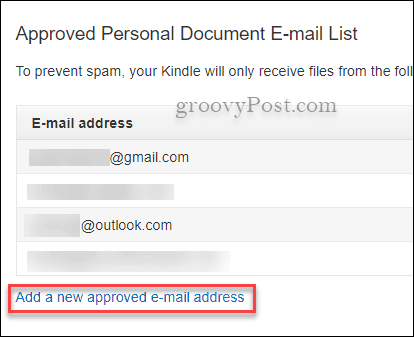 Before you run off and try emailing anything to the Kindle address, you need to add the address to the Approved Personal Document E-Mail List. Once you scroll down to it, just click where it says Add a new approved email address. Now you can freely email the documents straight to the Kindle. It’s a great way to go paperless and read important docs while on-the-go. Amazon also has an incredibly helpful tool that helps you easily send your files from your PC to your Kindle from File Explorer. 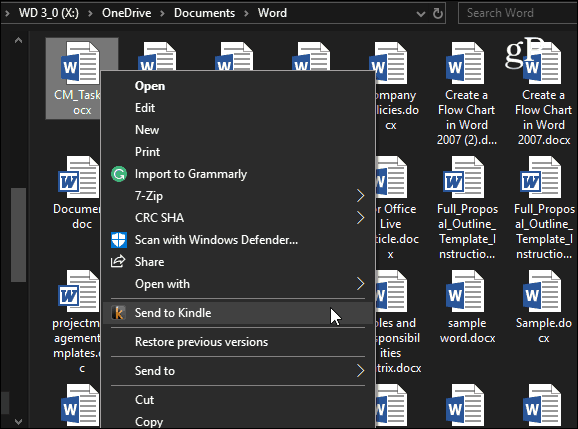 The Send to Kindle app lets you right-click a Word or PDF document on your PC and send it off to your Kindle Paperwhite or whatever type of Kindle you have. For more details, check out our article on how to send docs and PDFs for your Kindle. Whether you own the latest Kindle Fire tablet or rocking a Kindle Paperwhite, it’s good to know you have some options to send important documents to your device.